A picture is worth a thousand words, and in real estate photography, a picture can be worth thousands of dollars. A perfectly staged, artfully angled, and well designed photo can help photographers please their agent clients and help agents sell more homes. 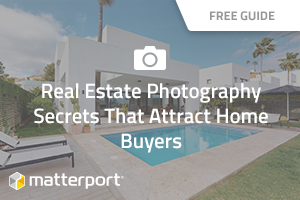 Whether you’re an agent promoting a property or a photographer yourself looking to improve your portfolio to attract home sellers and agents, check out this lookbook filled with secrets of real estate photography - from camera height to vertical edges to the power of imagining guests in the home - to help you make photos that sell homes.